Often life throws up surprise’s and a family member may find themselves unable to manage their own financial affairs or make informed decisions about their personal welfare. Illnesses such as Alzheimer’s, Parkinson’s and other forms of Dementia can often be the cause of someone losing the ability to make their own decisions. When this happens, it is called “loss of mental capacity”. Deputyship is usually given to a close family member or friend or to a professional and must be applied for through the Court of Protection. The appointed Deputy is responsible for the vulnerable person’s decisions about issues like property and finance, and occasionally healthcare. Who are the Court of Protection and what do they do? The Court of Protection in English law is a superior court of record created under the Mental Capacity Act 2005. It has jurisdiction over the property, financial affairs and personal welfare of people who it claims lack mental capacity to make decisions for themselves The Court of Protection makes decisions on applications which involve people who lack mental capacity to make their own decisions. A Deputy and is given the authority to manage the day to day financial affairs of the person who has lost the mental capacity. When a friend or loved one has lost their ability to manage their own financial affairs (often referred to as the loss of mental capacity), the Court of Protection appoints someone to do this on their behalf. REMEMBER mental capacity is a complicated subject and it is important to remember that someone may be able to make decisions about everyday issues like what to eat or what to watch on television, but can lack the mental capacity to make decisions on more complex issues, like financial management. Not always a Deputy – What is an Appointee? Applying to become an Appointee means you are applying for the right to deal with the benefits of someone who can’t manage their own affairs because they are mentally incapable or severely disabled. If the incapacitated person does not have savings or property in excess of £5,000 and their only income is pension or state benefits, then a Deputyship Order will not be proportionate to their needs. So, in these circumstances it would be more appropriate to contact the Department for Work and Pensions (DWP) to become an appointee for the incapacitated person. Apply to be a Deputy? Anyone over the age of 18 can apply to act as a Deputy. Usually a friend or relative will be the most suitable person to apply, but it is the Court of Protection who has the final say in who can act. 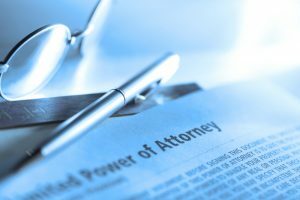 In some cases, it may not be suitable for a friend or relative to act and the Court will appoint an approved Deputy (“a Panel Deputy”) to act. You may choose to appoint a solicitor to step in as Deputy and act in their professional capacity. A Deputy is responsible for taking on the responsibilities of another person and it is important that a Deputy considers this carefully before making an application. It is normally recommended that at least two persons should apply to become Deputy to help ease the burden of responsibility. A Deputy must comply with the Court Order and should always act in the best interests of the incapacitated person. The Deputy is responsible for the finances and bills of the person they are acting for. The Deputy may have to submit an annual account to the Office of the Public Guardian. A Deputy may also apply to the Court of Protection to make a will on behalf of the incapacitated person. This is known as a Statutory Will. OPG – The OPG stands for the Office of the Public Guardian who are the supervising body for Court of Protection Appointed Deputies, providing support to Deputies and safeguarding vulnerable adults. How much does it cost to apply to become a Deputy?